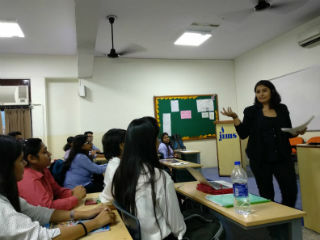 JIMS organised a guest session for PGDM batch (2018-20) on “POWER OF COMMUNICATION” by Ms Neha Sethi, Founder & Director at Impart on 17th Oct, 2018. 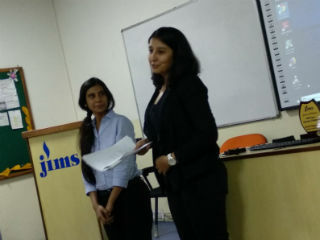 The speaker focussed on what is Communication, why it is important and how different styles of communication can be used to make an articulate message, she also talked about Verbal, Non-Verbal and Visual Communication which includes facial expressions, hand Gestures, Body Language, Posture, Appearance, Intonation, Signs, Voice Modulation, etc. She also conducted various interactive activities on what we see, listen and how to speak while observing. 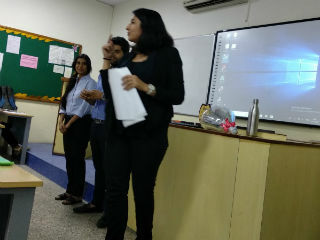 She also made the students to understand that how to make a choice of communication and one’s style of communicating along with the after effects communication. 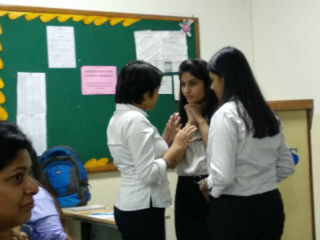 Overall the session was very interactive and effective as students learnt the nuances of effective communication with public and how to design our information to target our thoughts and the session ended on a note “It’s not what you say, it’s what they hear”.